One of those studio bound B-movies from the 1950s that kids would love but today's jaded audiences would probably laugh at. 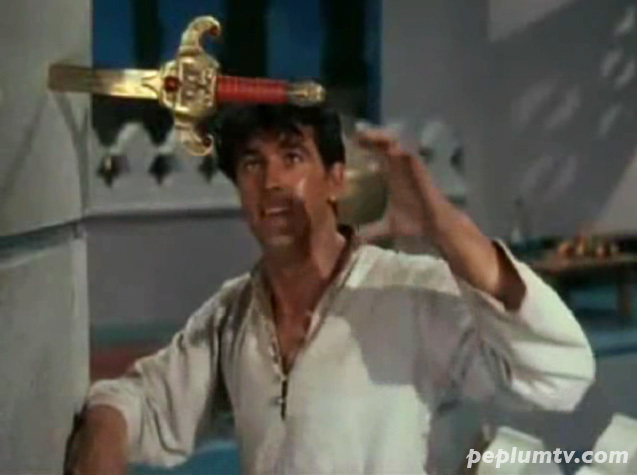 Rock is not bad in the swashbuckling scenes. There's a scene in this which makes me really laugh : when one of the various magicians hired by the Grand Vizier in an attempt to remove the sword from the column and fails. A film that doesn't take itself seriously.